ARB Climber Magazine is an excellent publication for tree workers. The magazine highlights climbing and cutting equipment, new gear, safety issues, techniques, reviews, and more. The thoughtful articles in every issue of ARB Climber will be a welcome read for those trying to stay up-to-date with tools and techniques in arboriculture. Each issue of ARB Climber Magazine is chock full of useful tips and gear comparisons, all for under the price of a sandwich! Latest issue features an article on the awesome new Akimbo, plus gear reviews, articles, and more. The latest issue of ARB Climber features an updated version of WesSpur's MRS/SRS climbing article! Additionally great overview and comparison of foot ascenders and reviews of the ISC Phlotich and other new gear. A new issue of ArbClimber! Cover features a member of Disaster Arborist Response Team working to improve access and make dangerous trees safe in Vanuatu following a devastating cyclone. A new issue of Arb Climber in to give you your new gear fix! ARBClimber magazine is back with a new issue full of tree gear reviews, articles, safety information, and more. ROPES: Where should Friction be in Rigging? The first issue of ARB Climber kicks it off with 66 pages of useful gear reviews, product info, and spotlights on technique, including rope tricks, aerial rescue, and chainsaw use. Many of the gear reviews are 2-page spreads, which really help put the gear side-by-side with the competition for comparison. This issue also contains a Green Log Weight Chart for your reference. The second issue of ARB Climber magazine brings the second part of articles started in issue #1, as well as results of testing Class 1 chainsaw boots, a guide to arborist helmets, an article on SRT techniques by Rope Wrench inventor Kev Bingham, and more. Issue 3 of ARB Climber Magazine continues excellent coverage of topics in tree care and climbing, including more articles on large removals, chainsaw techniques, and updates for some of the most popular climbing tools of recent years, including the Rope Wrench and CE Lanyard. 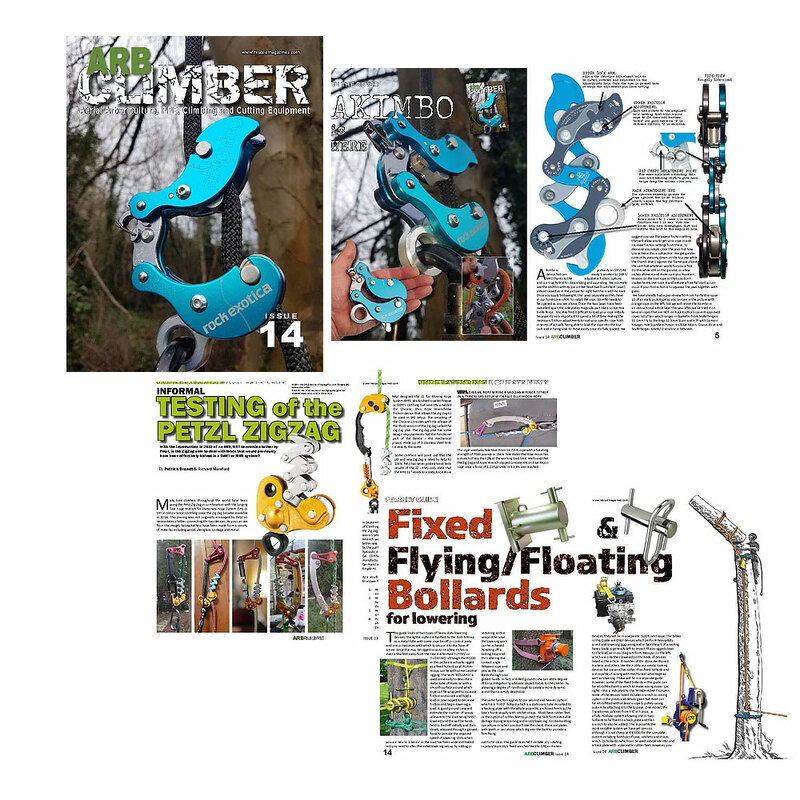 Issue 4 of ARB Climber Magazine brings further articles on chainsaw use in the tree, SRT work using mechanical friction devices, and reviews of books, rope, gear and more. Issue 5 continues excellent coverage of tree climbing tools and techniques. Features include an overview of the new Petzl Zigzag 2, a market guide to rigging lines, article on arboreal fungi, and more. ARBClimber magazine returns with issue #6, bringing you more advice, reviews, gear comparisons, and more. CHAINSAW MAINTENANCE: starved of fuel?